Kerala has a fascinating history that blends with the myths and legends of this land and possesses the alluring aroma of spices. The state has an assortment of exhibits that take you into the world of yesteryears. The exhibits include the archeological evidences of Neolithic age, burial accompaniments belonging to the Iron Age, sculptures of gods and goddesses in bronze, wood and stone, coins, murals and many more. These tokens of days gone by will familiarize one with the very many facets of this land like its rituals, cults, customs, tradition, trade, art, people and their lifestyle. Keralam, a museum of history and heritage in the capital city, is a joint venture of Kerala Tourism and the State Department of Archaeology. 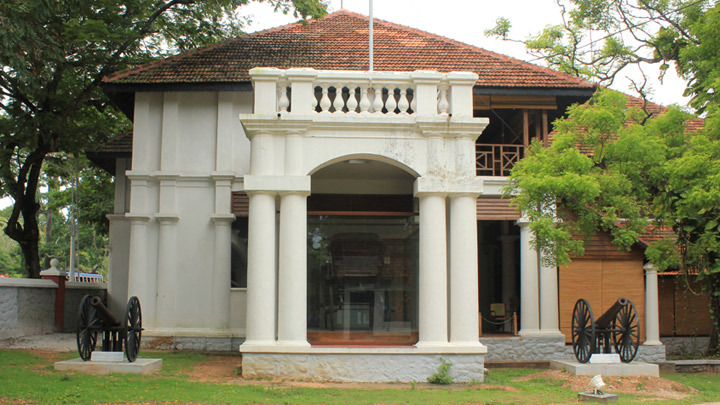 The museum, established in the Park View mansion near the zoo, uses modern display techniques such as touch-screen counters and multimedia systems to explain the artifacts arranged in different galleries and to screen narrative documentaries on the distinctive facets of Kerala’s cultural history.